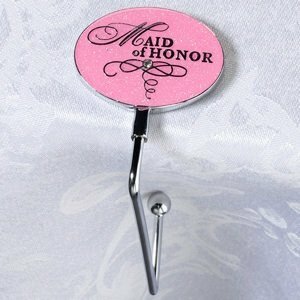 For your special Maid of Honor you need a gift that's thoughtful and practical, one she will really use. This cute little 4" purse holder is just the thing. 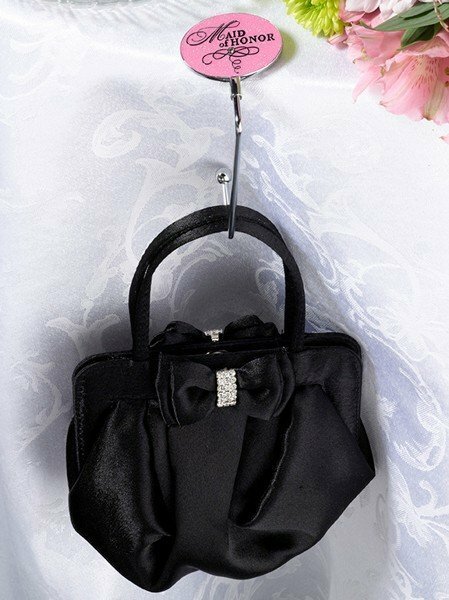 It will keep her handbag off the floor by allowing her to hook it on to the table at the bridal lunch or at the actual wedding reception. It's a lovely pink with an accent crystal. In elegant scroll writing it says "Maid of Honor." The hook is made of chrome plated zinc alloy and is both lead and nickel free. There's also a Bride version and a Bridesmaids style. So get them for all the ladies while you're at it!